Closing date for online entries is 23rd January 2013 at 5pm. 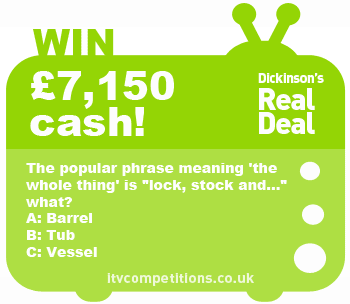 The popular phrase meaning ‘the whole thing’ is “lock, stock and…” what? Enter te Real Deal competition 3 times per phone number!